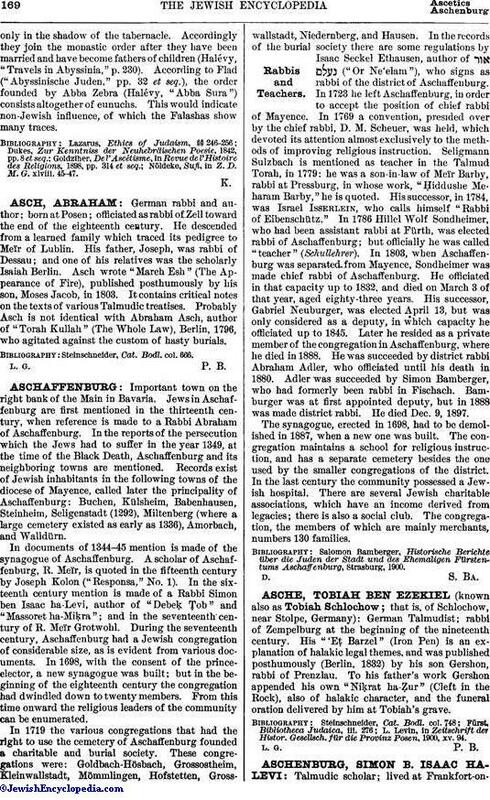 German Talmudist; rabbi of Zempelburg at the beginning of the nineteenth century. His "'Eṭ Barzel" (Iron Pen) is an explanation of halakic legal themes, and was published posthumously (Berlin, 1832) by his son Gershon, rabbi of Prenzlau. To his father's work Gershon appended his own "Niḳrat ha-Ẓur" (Cleft in the Rock), also of halakic character, and the funeral oration delivered by him at Tobiah's grave. L. Levin, in Zeitschrift der Histor. Gesellsch. für die Provinz Posen, 1900, xv. 94.